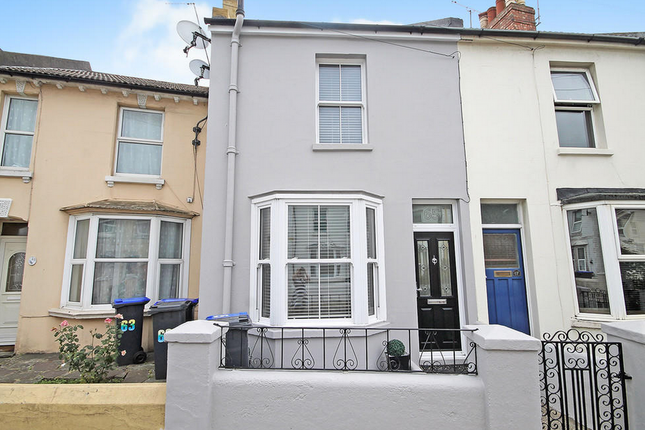 A stylish, recently renovated two bedroom terraced house with private garden located within easy reach of Worthing Town Centre and Station. The property has been finished to a contemporary standard boasting premier fixtures and fittings. Arranged over two-levels, the bright, airy accommodation comprises of lounge, dining room, fully fitted kitchen, two well-appointed bedrooms and three-piece family bathroom. Features include recessed fireplaces, new sash windows, modern decor and complementing flooring. Property descriptions and related information displayed on this page, with the exclusion of Running Costs data, are marketing materials provided by London Move, and do not constitute property particulars. Please contact London Move for full details and further information. The Running Costs data displayed on this page are provided by PrimeLocation to give an indication of potential running costs based on various data sources. PrimeLocation does not warrant or accept any responsibility for the accuracy or completeness of the property descriptions, related information or Running Costs data provided here.